The allure of designing a piece of custom furniture is knowing that you have an heirloom-quality item, truly like nothing else. 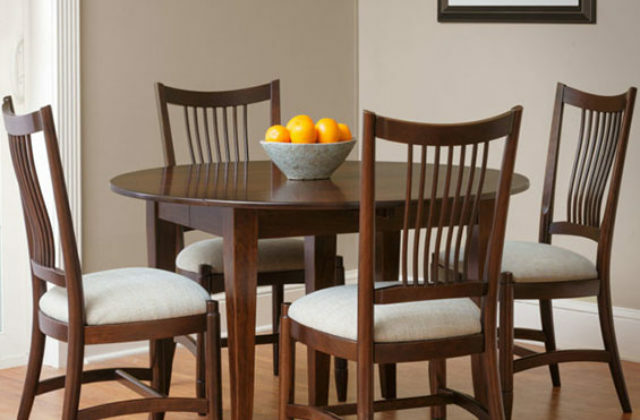 Whether you’d like a stunning dining room table, a gorgeous bedroom set, or something else, when you build custom wooden furniture with Martin’s Furniture, your choices are nearly limitless. When deciding on your dream piece, you can choose the lumber species, wood characteristics, staining, finishing, and so much more. At Martin’s, we’ll walk you through the whole process of designing your custom furniture to ensure it’s exactly how you’ve envisioned. Here are some of the hottest options when picking the right wood, stain, and finish! Maple is the most popular lumber to use in 2018 — and that’s no accident. This light-colored lumber is a hit for both practical and aesthetic reasons. On the stylistic side, Maple has a very clean grain that shows fewer natural characteristics or imperfections. This allows you to choose a light color stain and still maintain a modern clean look. From a practical standpoint, Maple is a rugged species of wood and makes for durable furniture. Time and time again, Maple proves excellent at resisting dents and damage resulting from decades of use. Another standout lumber choice, Cherry has always been popular, and that’s still true today. 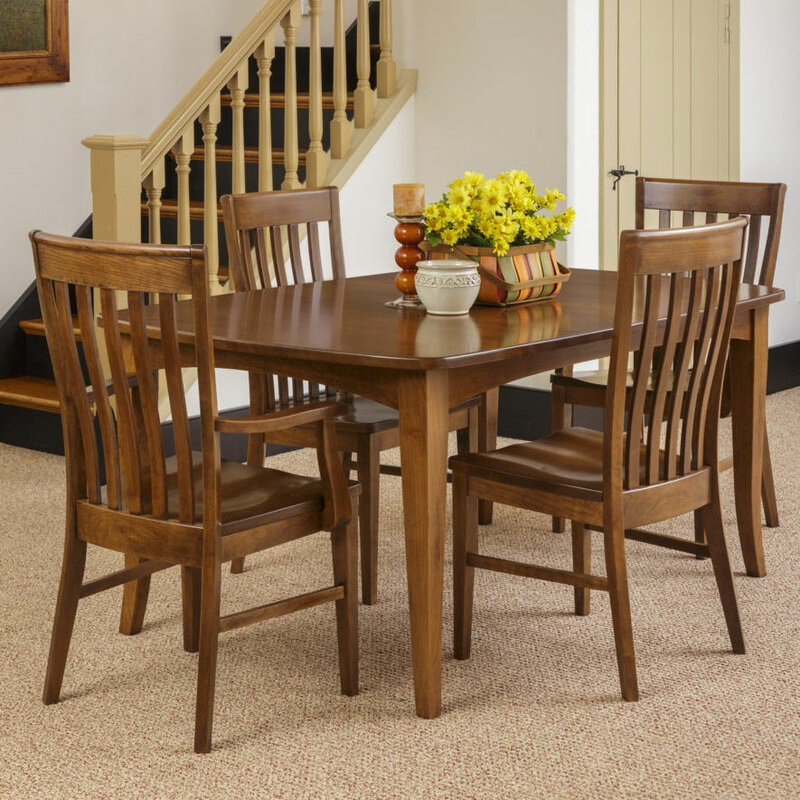 For customers of a certain age, Cherrywood is synonymous with quality — and that’s the only species of wood they want. The biggest difference between Cherry and Maple is that Cherry features bolder knots, swirls, streaks, and other natural imperfections. While this often means that Cherry is paired with deeper colored stains, some customers embrace the natural wood color and want to highlight those natural touches. After all, we also say that when it comes to real wooden furniture, every mark is a story. While different species of wood have predominant characteristics, when you partner with Martin’s Furniture, you can get even more selective. As custom as custom furniture gets, you can choose the specific wood characteristics you want — and we’ll select the boards to match. 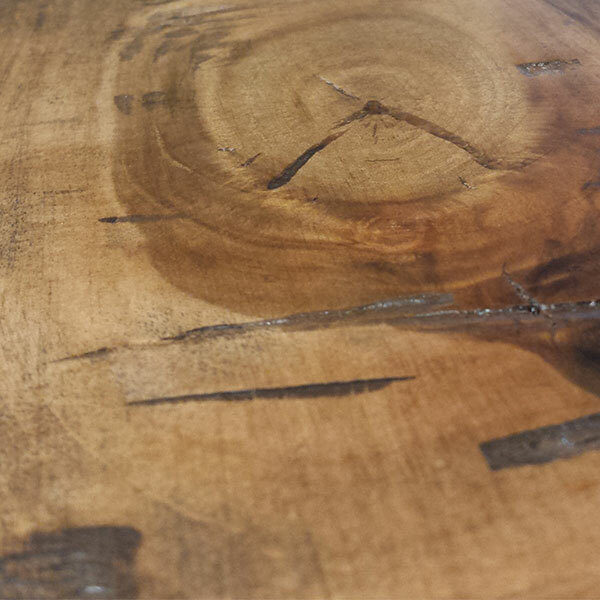 Whether you admire thicker grains, streaking, worming, swirling, or a clear grain, we’ll build your table with the wood species you like and the wood profile you envision. Stain is your chance to inject color into your custom furniture and to further develop the unique character of your piece. Light brown stains have a classic, timeless look. 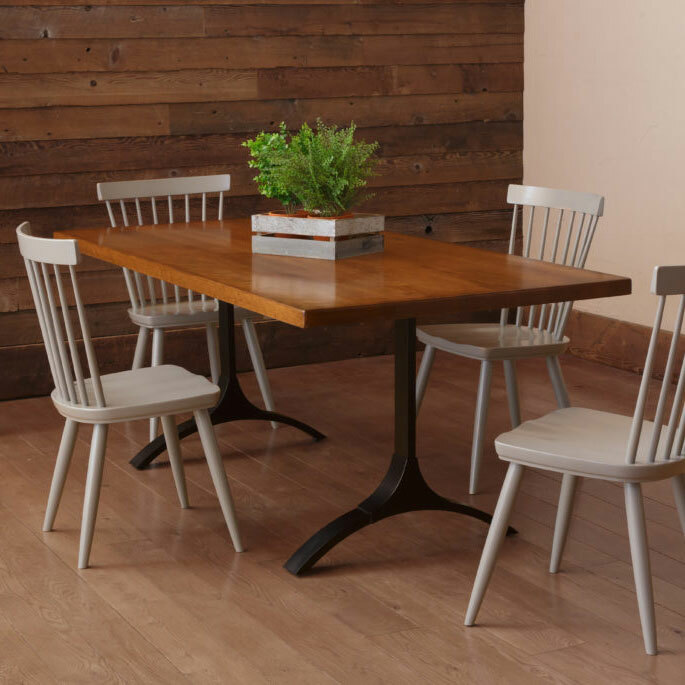 A light brown table is at-home in your kitchen the same as it would be in a 1800s farmhouse. That authentic appeal is taking hold with both younger and older customers alike, and rustic design trends are becoming bigger than ever in 2018. On the opposite side of the spectrum from light brown, a gray finish enhances your wooden furniture with an ultra-modern feel. This cool stain color complements rooms with a neutral aesthetic. 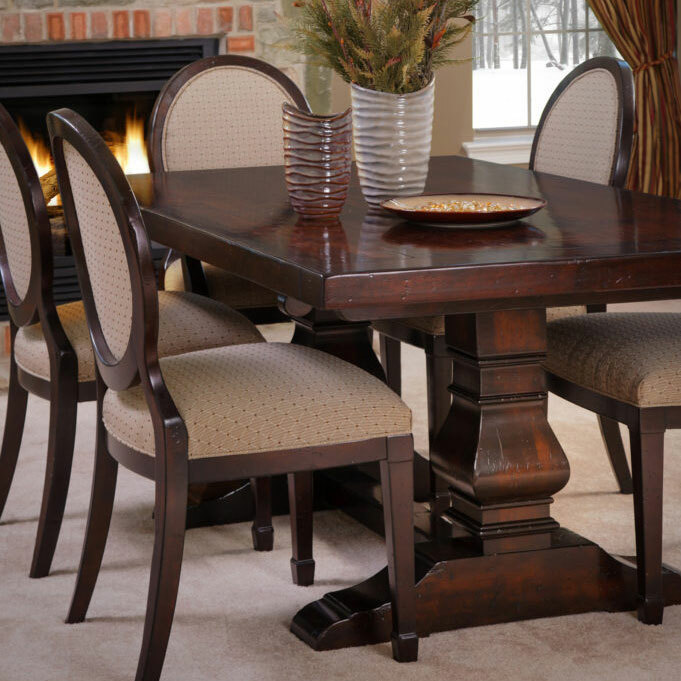 A deep brown color similar to tobacco, this stain is especially popular for kitchen tables. Right now a popular kitchen aesthetic involves matching the stain of the kitchen table and chairs to the wood of the central island. This color match builds a timeless look, that’s in between modern and rustic. Sometimes, the perfect stain is no stain at all. Particularly popular for Maple, this aesthetic touch entails leaving your wood exactly as nature intended. 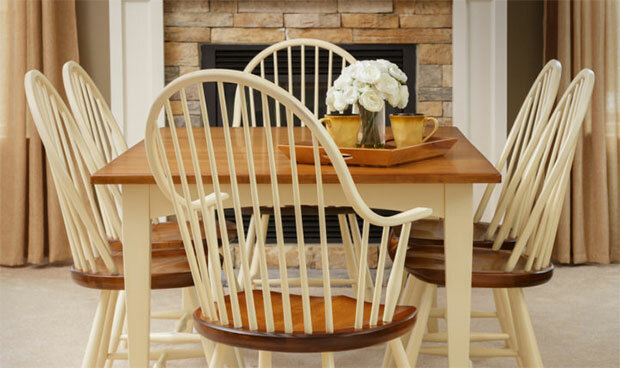 When left unstained, Maple wood takes on a gorgeous light blonde hue that homeowners love. While the furniture is still sealed, we don’t alter the natural color at all. 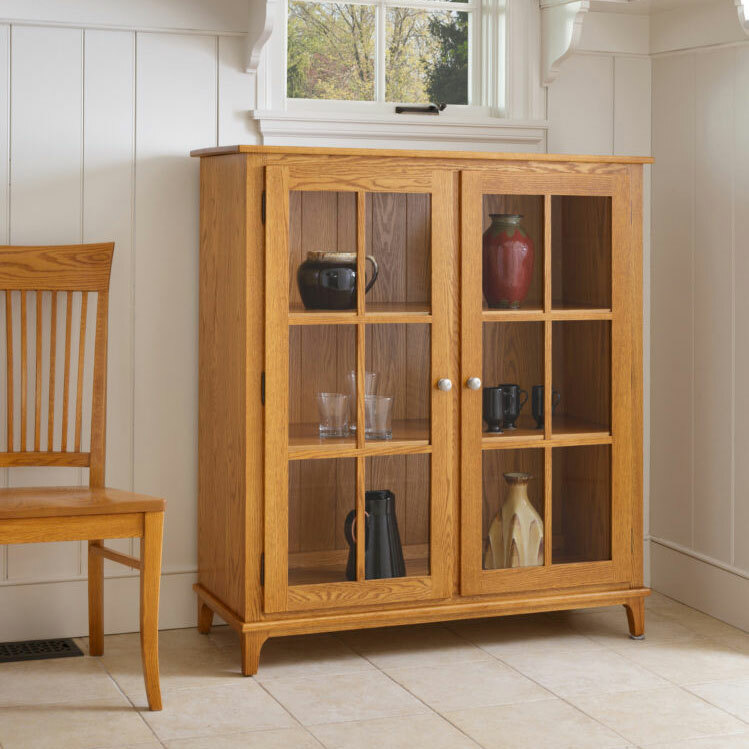 Once your piece of furniture is built and stained, you can start planning the finishing touches that make it truly yours. The two main types of finishing to consider are the sheen and the level of distress applied to the wood. The sheen used on a piece of lumber determines how glossy the surface will be. 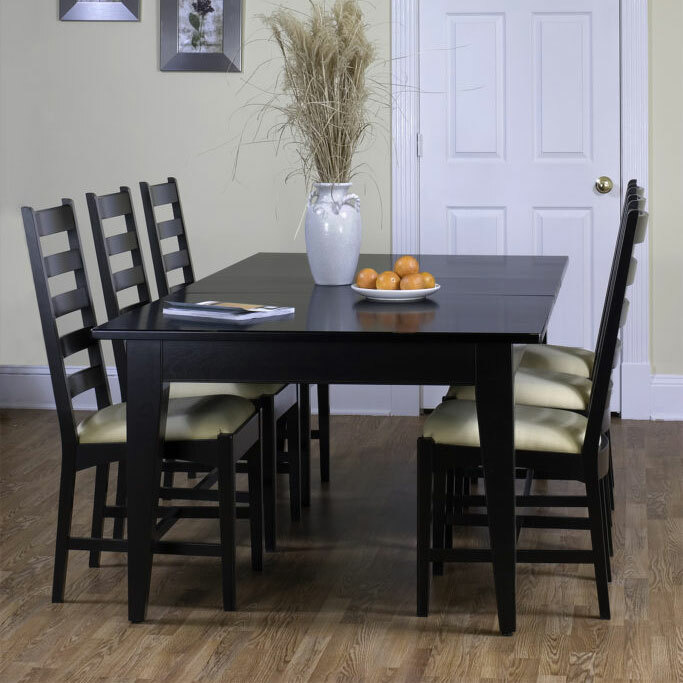 For decades, a high-gloss finish was the dominant style for all types of custom wooden furniture. However, the trends have recently reversed, and a low gloss sheen or no sheen at all are the most popular choices today. 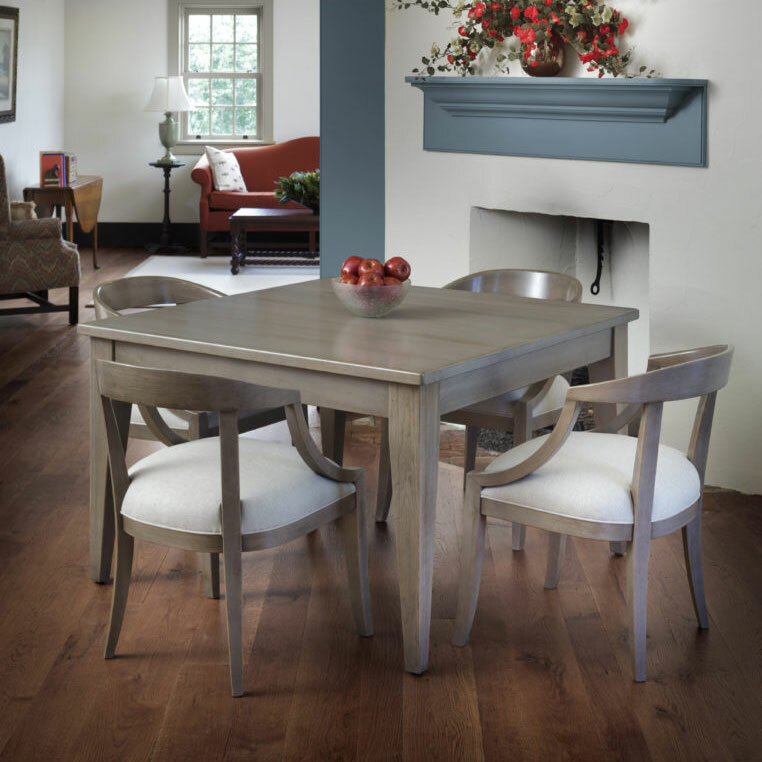 Stylistically speaking, less glossy finishes play into the newly-popular rustic style, by further highlighting the distinct character of the wood. From a practical perspective, a lower gloss wood finish hides damage better — which is especially important if you have kids. 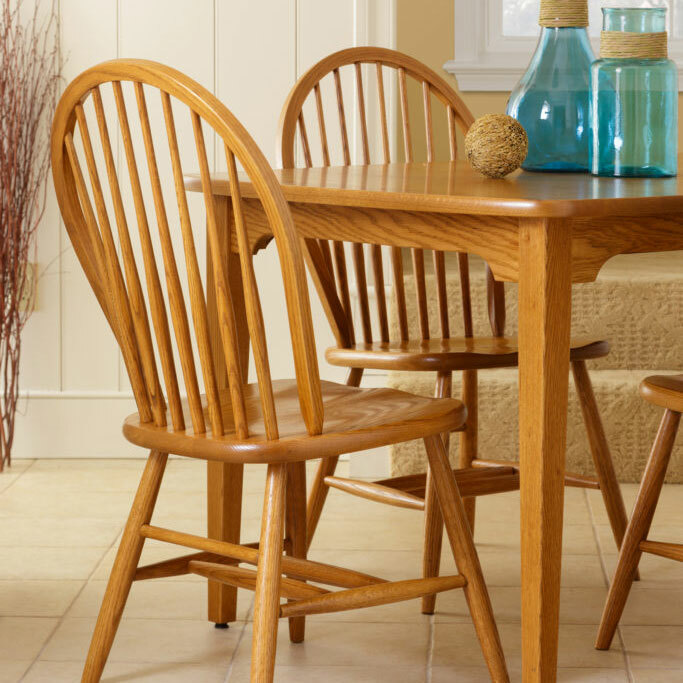 If you love the natural, hand-worked style, you’ll crave the distressed look for your wooden furniture. When wood is run through a 21st-century industrial sander, it comes out as smooth as a sheet of glass. Our hand-distressing techniques add a true rustic character and texture to your piece that renders it 100% unique. 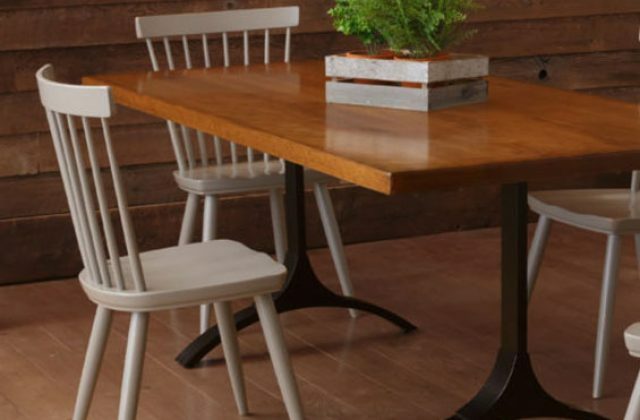 Characteristics of a hand-distressed piece of wooden furniture include nicks, dents, scraping, and wave like textures resulting from hand-planing. The piece of furniture you build with Martin’s will be unique to you, your children and their children after them. The decisions you make including the species of wood, the stain, and the finishing all tell the story of your individual piece. Since everything we build is custom to your tastes, we only build the custom furniture you’ll love — nothing less. 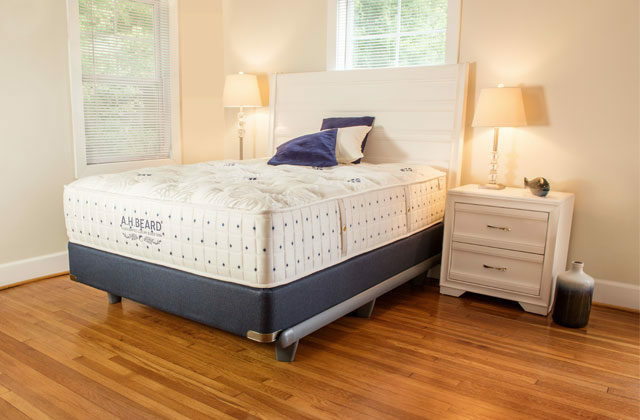 If you have a clear picture of the piece of custom furniture you’re dreaming about, work with us to make it a reality — and get your quote today. If you’re still deciding on the characteristics you’d like, we’d love to help. Many of our beloved custom furniture designs started with a conversation, contact us today!